When did British voters start rewarding anti-Semitism? One of the interesting things about ‘diversity’ is that it allows almost anything to happen. Consider Naz Shah, the MP for Bradford West. As I have said before, there is something strange about Bradford, because the city has managed in recent years to elect representatives of three parties. These include the Labour party (Naz Shah), the Liberal Democrat party (David Ward) and the Respect party (George Galloway). Fascinatingly all seem interested in similar themes. Why might that be? But back to Naz Shah. In the last Parliament it was this Labour MP who plunged her party into crisis. The public exposure of her anti-Semitic, racist comments on social media led Ken Livingstone to run to her rescue and promptly self-immolate. And it was this that caused Shami Chakrabarti to ruin her reputation by whitewashing the Labour party’s anti-Semitism problem, then taking a peerage. Of course after her disgrace, Shah made a pro-forma apology, was reintroduced to the fold and got on with her other interests, such as campaigning against ‘Islamophobia’. Being a traditionally liberal and anti-racist country, someone who had a reputation for anti-Semitic outbursts would once have been punished for their stance by the public at the ballot box. Not today. And not in Bradford. This week Naz Shah managed to actually increase her share of the vote. By 10,000 votes. It is true that at a hustings she managed to say that she thought the Jews of the Middle East had a right to exist. And it is true that for this massive concession on her part, some of her potential voters accused her of being a Jew. But this is all just a demonstration of the rich diversity that Bradford now represents – a city where a person made most famous in the last Parliament for her anti-Semitism actually increases their vote when next putting themselves in front of the public. I have visited Poland many times, always accompanied by the presence of the Jewish absence. Books and articles of mine have been translated into Polish. I have lectured at the University of Warsaw and Krakow’s Jagiellonian University. I was recently elected an external member of the Polish Academy of Arts and Sciences. Though my knowledge of the Polish language is scant, the country’s history and culture are not foreign to me. For these reasons, I recognize why Poland’s government recently introduced legislation on historical matters. But I am also furious. The Poles understandably view themselves primarily as victims of the Nazis. No country in occupied Europe suffered similarly. It was the only country that, under German occupation, had its government institutions liquidated, its army disbanded, its schools and universities closed. Even its name was wiped off the map. In a replay of the eighteenth-century partitions of Poland by Russia and Prussia, the 1939 Molotov-Ribbentrop Pact led to the Soviet occupation of eastern Poland in the wake of the German invasion. No trace of Polish authority remained. The total destruction of the Polish state and its institutions made Poland an ideal location for the German extermination camps, in which six million Polish citizens – three million Jews and three million ethnic Poles – were murdered. Everywhere else in German-controlled Europe, the Nazis had to deal, sometimes in an extremely complicated way, with local governments, if only for tactical reasons. This is why Poland is right to insist that the camps not be called “Polish extermination camps” (as even US President Barack Obama once mistakenly referred to them). They were German camps in occupied Poland. But the current Polish government is making a serious mistake by trying to criminalize any reference to “Polish extermination camps.” Only non-democratic regimes use such means, rather than relying on public discourse, historical clarification, diplomatic contacts, and education. The government’s proposed legislation goes even further: it makes any reference to ethnic Poles’ role in the Holocaust a criminal offense. It also refers to what it calls “historical truth” regarding the wartime massacre of Jews in the town of Jedwabne by their Polish neighbors. When the historian Jan Gross published his study establishing that Poles, not Germans, burned alive hundreds of Jedwabne’s Jews, Poland naturally suffered a major crisis of conscience. Two Polish presidents, Aleksander Kwaśniewski and Bronisław Komorowski, accepted the findings and publicly asked for the victims’ forgiveness. As Komorowski put it, “even in a nation of victims, there appear to be murderers.” Now, however, the authorities claim that the issue must be re-examined, even calling for the mass graves to be exhumed. The government’s views and ideology are an internal Polish matter. But if it seeks to gloss over or deny problematic aspects of Polish history, even those who identify with Poland’s pain may raise questions that, in recognition of Poles’ terrible suffering, have until now been largely overlooked. These questions are neither trivial nor directed at the behavior of individuals. They implicate national decisions. The first question concerns the timing of the Warsaw Uprising in August 1944. The Poles justly point out that the Red Army, which had reached the Vistula, did not help the Polish fighters and actually let the Germans suppress the insurgency unimpeded – one of Stalin’s most cynical moves. But why did the Polish underground (Armia Krajowa, or Home Army), controlled by the Polish government-in-exile in London, strike at this moment, when the Germans were already retreating, eastern Poland was already liberated, and the Red Army was about to liberate Warsaw itself? The official Polish explanation is that the uprising against the Germans was also a pre-emptive strike against the Soviet Union, intended to ensure that Polish, not Soviet, forces liberated Warsaw. That may explain (though obviously not justify) the Soviets’ refusal to help the Poles. Yet questions linger: Why did the Home Army wait more than four years to rise against German occupation? Why did it not disrupt the systematic extermination of three million Jews, all Polish citizens, or strike during the Jewish uprising in the Warsaw Ghetto in April 1943? One sometimes hears arguments about how many guns the Home Army sent – or did not send – to the fighters in the ghetto. But that is not the question. The German suppression of the Warsaw Ghetto Uprising took weeks; on the “Aryan side,” Poles saw and heard what was happening – and did nothing. We cannot know the outcome had the Home Army joined the Jews – not only in Warsaw but throughout occupied Poland, where it had prepared thousands of its members for a possible uprising. What is certain is that the Nazi SS would have found it more difficult to liquidate the ghetto; moreover, joining what was considered a “Jewish uprising” would have been powerful proof of solidarity with Polish Jews. The key point is that highlighting the moral dimension of the decision to start an uprising to prevent the Soviets from liberating Warsaw, while ignoring the failure to act to prevent the murder of three million Polish Jews and join the ghetto uprising, can be legitimately questioned. This raises another long-suppressed question. By March 1939, the British and French governments knew that appeasing Hitler had failed: after destroying Czechoslovakia, Nazi Germany was turning against Poland. That spring, Britain and France issued a guarantee to defend Poland against a German invasion. At the same time, the Soviet Union proposed to the British and the French a united front against German aggression toward Poland – the first attempt to develop a Soviet-Western anti-Nazi alliance. In August 1939, an Anglo-French military delegation traveled to Moscow, where the head of the Soviet delegation, Defense Minister Kliment Voroshilov, asked the Western officers a simple question: would the Polish government agree to the entry of Soviet troops, which would be necessary to repel a German invasion? After weeks of dithering, the Polish government refused. As a Polish government minister reportedly asked: “If the Soviet Army enters Poland, who knows when they would leave?” The Anglo-French-Soviet talks collapsed, and a few days later the Molotov-Ribbentrop Pact was signed. No one can know whether Poland would have avoided German occupation had it agreed to the Red Army’s entry in the event of an invasion, much less whether WWII or the Holocaust might have been prevented. But it is reasonable to maintain that the government made one of the most fateful and catastrophic choices in Poland’s history. In one way or another, its stance made the Molotov-Ribbentrop Pact possible, and the 1944 Warsaw Uprising brought about the city’s near-total destruction. In no way should this be viewed as an attempt to blame the victim. The moral and historical guilt belongs to Nazi Germany and, in parallel, to the Soviet Union. But if the current Polish government wishes to revise history, these broader issues must also be addressed. A nation and its leaders are responsible for the consequences of their decisions. Recently, I visited POLIN, the Jewish museum in Warsaw, initiated by then-President Kwaśniewski. I was deeply impressed not only by the richness and presentation of the materials, but also by the sophistication and historical integrity underlying the entire project: without the Jews, the exhibition made clear, Poland would not be Poland. Shlomo Avineri will be attending this year’s Forum 2000 conference, The Courage to Take Responsibility, which will be held in Prague, Czech Republic, October 16-19. JERUSALEM – Ein paar Monate vor Beginn des Zweiten Weltkriegs kamen meine Eltern und ich in Tel Aviv an. Der Rest der Familie und Verwandte – drei meiner Großeltern, die sieben Geschwister meiner Mutter und fünf meiner Cousins – blieben in Polen. Sie alle wurden im Holocaust ermordet. Ich habe Polen viele Male besucht, immer begleitet von allgegenwärtiger jüdischer Abwesenheit. Von mir verfasste Bücher und Artikel wurden ins Polnische übersetzt. Ich unterrichtete an der Universität von Warschau und an der Jagiellonen-Universität in Krakau. Kürzlich wurde ich zu einem externen Mitglied der Polnischen Akademie der Wissenschaften und Künste gewählt. Trotz meiner spärlichen Kenntnisse der polnischen Sprache sind mir Geschichte und Kultur des Landes nicht fremd. Aus diesen Gründen verstehe ich, warum die polnische Regierung jüngst Gesetze für historische Angelegenheiten verabschiedete. Aber ich bin auch wütend. Die Polen betrachten sich verständlicherweise in erster Linie als Opfer der Nazis. Kein Land im besetzten Europa litt in ähnlicher Weise. Polen war das einzige Land, in dem unter deutscher Besatzung Regierungsinstitutionen sowie Armee aufgelöst und Schulen und Universitäten geschlossen wurden. Sogar der Landesname wurde von der Landkarte gelöscht. Wie eine Neuauflage der Teilungen Polens durch Russland und Preußen im 18. Jahrhundert führte der deutsch-sowjetische Nichtangriffspakt aus dem Jahr 1939 im Gefolge der deutschen Invasion zur sowjetischen Besetzung Ostpolens. Von polnischer Staatsmacht blieb keine Spur. Die totale Zerstörung des polnischen Staates und seiner Institutionen ließen das Land zu einem idealen Ort für die deutschen Vernichtungslager werden, in denen sechs Millionen polnische Bürger – drei Millionen Juden und drei Millionen ethnische Polen – ermordet wurden. Überall sonst in dem von Deutschland kontrollierten Europa mussten sich die Nazis, wenn auch nur aus taktischen Gründen, in manchmal überaus komplizierter Art und Weise mit lokalen Regierungen auseinandersetzen. Aus diesem Grund beharrt Polen zurecht darauf, dass diese Lager nicht als „polnische Vernichtungslager“ bezeichnet werden sollen (wie es sogar US-Präsident Barack Obama einst fälschlicherweise tat). Es handelte sich um deutsche Lager im besetzten Polen. Mit ihrem Versuch, jeden Verweis auf „polnische Vernichtungslager“ zu kriminalisieren, begeht die derzeitige polnische Regierung jedoch einen schweren Fehler. Lediglich undemokratische Regime bedienen sich derartiger Methoden anstatt sich auf den öffentlichen Diskurs, historische Klarstellung, diplomatische Kontakte und Bildung zu verlassen. Der Gesetzesentwurf der Regierung geht sogar noch weiter: darin wird nämlich jeder Verweis auf die Rolle ethnischer Polen im Holocaust zu einer Straftat gemacht. Hinsichtlich des während des Krieges in der Stadt Jedwabne an Juden von deren Nachbarn verübten Massakers bezieht sich die Regierung außerdem auf die von ihr so bezeichnete „historische Wahrheit“. Als der Historiker Jan Gross seine Studie veröffentlichte, in der er darlegte, dass nicht Deutsche, sondern Polen hunderte Juden aus Jedwabne bei lebendigem Leib verbrannten, löste dies in Polen natürlich eine veritable Gewissenkrise aus. Zwei polnische Präsidenten – Aleksander Kwaśniewski und Bronisław Komorowski – akzeptierten die Erkenntnisse aus dieser Arbeit und baten die Opfer öffentlich um Vergebung. Komorowski formulierte, dass es „sogar in einer Nation der Opfer offenbar Mörder gibt.” Mittlerweile allerdings behaupten die Behörden, die Angelegenheit müsse erneut untersucht werden und sie fordern sogar die Exhumierung der Leichen aus den Massengräbern. Ansichten und Ideologie der Regierung sind eine innere Angelegenheit Polens. Wenn man allerdings versucht, problematische Aspekte der polnischen Geschichte unter den Teppich zu kehren oder zu leugnen, werden auch diejenigen, die sich mit dem Schmerz Polens identifizieren, möglicherweise Fragen aufwerfen, die in Anerkennung der schrecklichen Leiden der Polen bislang weitgehend übersehen wurden. Diese Fragen sind weder trivial noch an das Verhalten von Einzelpersonen geknüpft. Es geht dabei vielmehr um nationale Entscheidungen. Die erste Frage betrifft den zeitlichen Ablauf des Warschauer Aufstandes im August 1944. Die Polen verweisen mit Recht darauf, dass die Rote Armee, die bereits an der Weichsel stand, den polnischen Kämpfern nicht zu Hilfe kam und die Deutschen den Aufstand praktisch ungehindert niederschlagen ließ – einer der zynischsten Schritte Stalins. Aber warum schlug der von der polnischen Exilregierung in London kontrollierte polnische Untergrund (die Armia Krajowa oder Heimatarmee) ausgerechnet in dem Moment zu, als sich die Deutschen bereits auf dem Rückzug befanden, Ostpolen bereits befreit war und die Rote Armee kurz vor der Befreiung Warschaus stand? Die offizielle polnische Erklärung lautet, dass der Aufstand gegen die Deutschen auch ein Präventivschlag gegen die Sowjetunion war, womit gewährleistet werden sollte, dass nicht sowjetische, sondern polnische Truppen Warschau befreiten. Das mag vielleicht erklären (wenn auch offensichtlich nicht rechtfertigen), warum sich die Sowjets weigerten, den Polen zu Hilfe zu kommen. Dennoch bleiben Fragen: Warum wartete die Heimatarmee über vier Jahre, um sich gegen die deutsche Besatzung zu erheben? Warum wurde nichts gegen die systematische Vernichtung von drei Millionen Juden unternommen, bei denen es sich allesamt um polnische Staatsbürger handelte oder warum schlug man nicht während des jüdischen Aufstandes im Warschauer Ghetto im April 1943 zu? Manchmal hört man Argumente darüber, wie viele Waffen die Heimatarmee an die Kämpfer im Ghetto schickte – oder nicht schickte. Das ist allerdings nicht die Frage. Die Niederschlagung des Aufstandes im Warschauer Ghetto durch die Deutschen dauerte Wochen; auf der „arischen Seite“ hörten und sahen die Polen was geschah – und sie taten nichts. Wir können nicht wissen, was geschehen wäre, hätte sich die Heimatarmee den Juden angeschlossen – nicht nur in Warschau, sondern im gesamten besetzten Polen, wo man tausende Armeeangehörige auf einen möglichen Aufstand vorbereitete. Sicher ist allerdings, dass es für die SS schwieriger geworden wäre, das Ghetto zu liquidieren. Außerdem wäre es ein starkes Zeichen der Solidarität mit den polnischen Juden gewesen, hätte man sich den als „jüdisch“ bezeichneten Aufstand angeschlossen. Der entscheidende Punkt ist: die Hervorhebung der moralischen Dimension der Entscheidung, einen Aufstand zu beginnen, um die Sowjets an der Befreiung Warschaus zu hindern und gleichzeitig außer Acht zu lassen, dass man untätig blieb, als es darum ging, den Mord an drei Millionen polnischer Juden zu verhindern, darf berechtigterweise in Frage gestellt werden. Das wirft eine weitere lange Zeit unterdrückte Frage auf. Im März 1939 wussten die britische und die französische Regierung, dass die Appeasement-Politik gegenüber Hitler gescheitert war: nach der Zerstörung der Tschechoslowakei, wandte sich Nazi-Deutschland gegen Polen. In diesem Frühling gaben Großbritannien und Frankreich eine Garantie ab, Polen gegen eine deutsche Invasion zu verteidigen. Gleichzeitig schlug die Sowjetunion den Briten und Franzosen eine geeinte Front gegen die deutsche Aggression gegenüber Polen vor – der erste Versuch, eine Allianz der Sowjets und des Westens gegen die Nazis zu bilden. Im August 1939 reiste eine englisch-französische Delegation nach Moskau, wo der Vorsitzende der sowjetischen Delegation, Verteidigungsminister Kliment Woroschilow, den westlichen Vertretern eine simple Frage stellte: würde die polnische Regierung dem für die Zurückschlagung einer deutschen Invasion notwendigen Einsatz sowjetischer Truppen auf ihrem Territorium zustimmen? 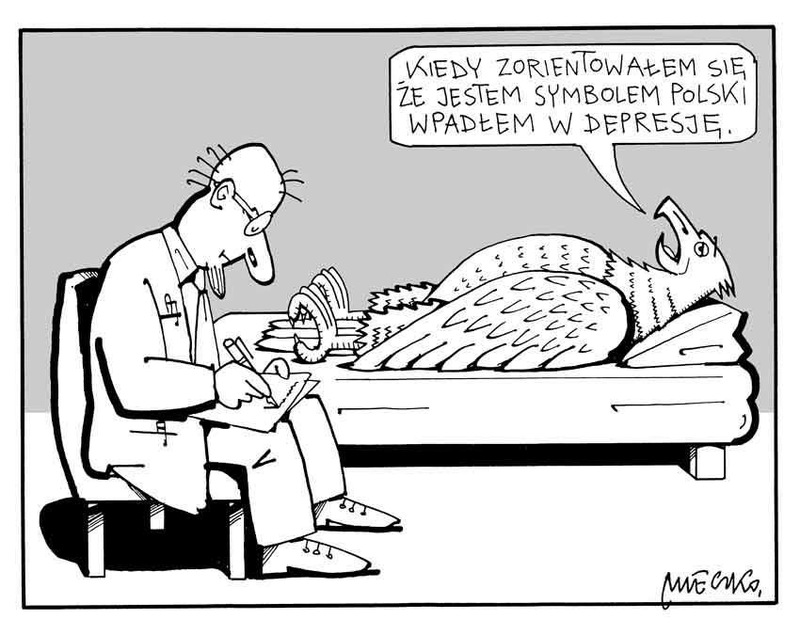 Nach wochenlangem Hin und Her, verweigerte die polnische Regierung ihre Zustimmung. Ein polnischer Regierungsminister meinte angeblich: „Wer weiß, wann die Sowjetarmee im Falle eines Einsatzes in Polen wieder abzieht.“ Die Gespräche zwischen Briten, Franzosen und Sowjets scheiterten und ein paar Tage später wurde der deutsch-sowjetische Nichtangriffspakt unterzeichnet. Man kann die polnische Position verstehen: nach Wiedererlangung der Unabhängigkeit im Jahr 1918 fand sich Polen in einem brutalen Kampf mit der Roten Armee wieder, die darauf aus war, Warschau zu besetzen. Nur mit militärischer Unterstützung Frankreichs gelang es, die Russen zu zurückzuschlagen und Polens Unabhängigkeit zu sichern. Im Jahr 1939 schien es, als ob Polen die Sowjetunion mehr fürchtete als Nazi-Deutschland. Niemand weiß, ob die deutsche Besetzung Polens zu verhindern gewesen wäre, wenn Polen dem Einsatz der Roten Armee im Falle einer Invasion zugestimmt hätte und noch viel weniger kann gesagt werden, ob der Zweite Weltkrieg oder der Holocaust hätten verhindert werden können. Dennoch kann man vernünftigerweise behaupten, dass die Regierung eine der verhängnisvollsten und katastrophalsten Entscheidungen in der polnischen Geschichte traf. Auf die eine oder andere Weise ermöglichte ihre Haltung den deutsch-sowjetischen Nichtangriffspakt und der Warschauer Aufstand 1944 führte zur fast vollständigen Zerstörung der Stadt. Keinesfalls soll dies als Versuch betrachtet werden, dem Opfer die Schuld zuzuweisen. Die moralische und historische Schuld gilt Nazi-Deutschland und parallel dazu der Sowjetunion. Wenn die derzeitige polnische Regierung allerdings die Geschichte einer Überprüfung unterziehen möchte, müssen auch diese allgemeineren Fragen beantwortet werden. Eine Nation und ihre Führung sind verantwortlich für die Folgen ihrer Entscheidungen. Kürzlich besuchte ich POLIN, das auf Initiative des damaligen Präsidenten Kwaśniewski errichtete jüdische Museum in Warschau. Ich war tief beeindruckt, nicht nur von der Vielfalt und der Präsentation der Ausstellungsstücke, sondern auch von der Differenziertheit und historischen Integrität, die dem gesamten Projekt zugrunde liegen: ohne Juden, so stellt die Ausstellung klar, wäre Polen nicht Polen. BBC Scrubs ‚Ali‘ from Munich Killer’s Name and calls him David, although his real name is Davood, not David. The BBC has unilaterally chosen not to report the Munich attacker’s full name, in what appears to be an attempt to scrub any Muslim or Islamic heritage link to its coverage of the incident. Most sources at this point suggest that Ali David Sonboly – the Munich attacker who targeted children and killed nine yesterday – is not connected to radical Islam. The 18-year-old gunman who killed nine people in Munich was obsessed with mass shootings but had no known links to the Islamic State group, German police say. Written material on such attacks was found in his room. Munich’s police chief spoke of links to the massacre by Norway’s Anders Behring Breivik. The gunman, who had dual German-Iranian nationality, later killed himself. 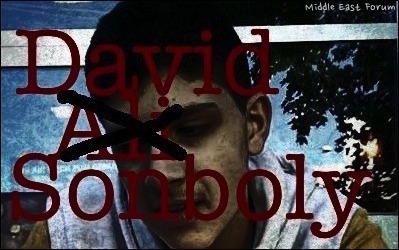 His name has not been officially released but he is being named locally as David Sonboly. He had a 9mm Glock pistol and 300 bullets in his rucksack. Breitbart London has reached out to the BBC for comment, and has asked who took the decision to scrub the name „Ali“ from the attacker’s name across all its platforms. We have not yet received a response. Update 1520 EST: The BBC has now changed its article following my expose of their attempted cover up. Read more here. Es war stets ein Rätsel, warum eine Frau, die die Elogen der US-amerikanisch-palästinensischen Genderforscherin Lila Abu-Lughod auf die Burka gutheißt, als Vordenkerin des Feminismus gelten kann. Abu-Lughod schreibe der Vollverschleierung von Frauen, so Judith Butler, »wichtige kulturelle Bedeutungen« zu. In ihrer 2005 auf Deutsch erschienenen Essaysammlung »Gefährdetes Leben« bringt Butler Abu-Lughods Verdikt gegen die »Dezimierung islamischer Kultur« und eine »Ausbreitung von US-amerikanischen kulturellen Annahmen, wie Sexualität und Handlungsfähigkeit zu organisieren und darzustellen seien«, gegen die Bilder entschleierter afghanischer Mädchen und Frauen in Anschlag. Die Verschleierung der Frau könne, so fasst Butler einen Vortrag Abu-Lughods zustimmend zusammen, auch als »eine Übung in Bescheidenheit und Stolz« verstanden werden und diene »als Schleier (…), hinter dem und durch den die weibliche Handlungsfähigkeit wirken kann«. Kritik am islamischen Tugendterror diskreditiert Butler als »kulturimperialistische Ausbeutung des Feminismus«. Jener Teil von Butlers Anhängerschaft, der den Feminismus noch einigermaßen ernst nimmt, musste vor solchen Aussagen, die eine Absage an die universelle Vorstellung von Freiheit darstellen, stets die Augen verschließen. Ähnlich verhielt man sich, als mit Butler 2012 einer Autorin der Adorno-Preis der Stadt Frankfurt verliehen wurde, deren Schriften das exakte Gegenteil von Kritischer Theorie sind. Die Absage an jegliches die Gesellschaft transzendierende Denken zieht sich trotz der kritischen Attitüde wie ein roter Faden durch ihre Texte. Im Zuge der durch die Preisverleihung ausgelösten Diskussionen über ihre israelfeindlichen Aussagen versuchten das Preiskomitee und viele Fans der Gender-Queen, Butler mit der Behauptung in Schutz zu nehmen, sie kritisiere lediglich den fortgesetzten Siedlungsbau und konkretes Regierungshandeln in Israel. Das war zwar angesichts der Verlautbarungen der Starphilosophin auch damals schon kaum haltbar, mit der Veröffentlichung von Butlers Buch »Am Scheideweg« dürfte diese Verteidigungsstrategie in der Zukunft aber kaum mehr durchzuhalten sein. Das 2012 auf Englisch und 2013 auf Deutsch erschienene Buch beginnt mit der Lieblingslüge aller sich als Opfer rachsüchtiger Verfolgung gerierender Antizionisten, die ohne ihre Phantasie, jegliche Kritik am Vorgehen des israelischen Staates werde von der als allmächtig halluzinierten Internationale der Israel-Verteidiger reflexhaft als antisemitisch gebrandmarkt, nicht mehr auskommen. Butler gibt die banale Tatsache, dass es schon immer auch jüdische Kritiker des Zionismus gegeben hat, als bahnbrechende Neuigkeit aus, deren Thematisierung einem ausgesprochen mutigen Tabubruch gleichkomme. Die jüdischen Kritiker des Zionismus wie Hermann Cohen, Franz Rosenzweig und Hannah Arendt dienen ihr als Rückversicherung, um ihrem Hass auf einen »ausbeuterischen Siedlerkolonialismus« der jüdischen Israelis, der bei ihr jenseits aller realen Ereignisse im Nahen Osten existiert, freien Lauf zu lassen und ihn mit höheren philosophischen Weihen auszustatten. Durch Bezugnahme auf die Kritik des Shoah-Überlebenden Primo Levi am Libanon-Krieg von 1982 versucht sie, ihrer grundsätzlichen Ablehnung des zionistischen Projekts selbst den Koscher-Stempel aufzudrücken. So gerüstet, kann sie sich vollends ihrer politischen Programmatik widmen, die ganz wie bei ihrem Stichwortgeber Edward Said auf nichts anderes hinausläuft als die Abschaffung Israels. So findet Butler ihre jüdischen Kronzeugen denn auch nicht radikal genug: Die Vorschläge von Hannah Arendt, Martin Buber und Judah Magnes zum Binationalismus gehen ihr noch längst »nicht weit genug«. Sie will die endgültige Aufgabe des »politischen Zionismus« und streitet für eine klare Absage an jede Form »jüdischer Souveränität«. Butler fordert die Abschaffung des israelischen Rückkehrgesetzes, das allen Juden die Einwanderung nach Israel garantiert, und die Verwirklichung des Rückkehrrechts der Palästinenser, womit das Ende Israels als jüdischer Staat besiegelt wäre. Angesichts von Butlers Einschätzung, dass der »Verlust der demographischen Überlegenheit der jüdischen Bevölkerung in Israel« mit »Sicherheit die Aussichten für die Demokratie in dieser Region verbessern« würde, ist es nur eine minimale Übertreibung, von einem »Erlösungsantizionismus« zu sprechen. Ihre leidenschaftlich betriebene Desavouierung der Legitimität Israels versucht sie in dem Buch durch ihre bereits seit Jahren proklamierte, von vielen ihrer deutschsprachigen Fans verharmloste oder relativierte Unterstützung des »Boycott/Divestment/Sanctions-Movement« voranzubringen, von dem sich mittlerweile selbst Noam Chomsky und Norman Finkelstein distanziert haben. Butler betont, dass es ihr keineswegs nur um den Boykott von Waren aus Siedlungen in der Westbank geht, sondern um einen umfassenden Boykott des Staats der Shoah-Überlebenden und ihrer Nachkommen, da sonst die palästinensischen »Ansprüche von 1948« und das »Recht auf Rückkehr« aufgegeben würden. Butlers Programm ist eindeutig: Es geht ihr – ganz so wie Ali Khamenei, sunnitischen Islamisten und der PFLP, wenn auch aus einer anderen Vorstellung von einem zukünftigen Zusammenleben in der Region – um die »Befreiung« ganz »Palästinas«, weshalb sie sich auch explizit gegen linke Spielarten des Zionismus ausspricht. Butlers Zionismuskritik munitioniert die Israel-Hasser jeglicher Couleur – insbesondere die pseudokritischen linken. Sie werden sich am aufgeblasenen Begriffsapparat der poststrukturalistischen Meisterdenkerin delektieren und sich an ihrer prätentiösen Sprache erfreuen. Das Buch ist ein weiterer Meilenstein bei der Delegitimierung Israels. Es ist eine Fortschreibung von Tony Judts Attacken auf den Zionismus als »Anachronismus«, die vor einigen Jahren eine Renaissance intellektuell verbrämten Israel-Hasses im deutschsprachigen Raum einläuteten. Micha Brumlik hat 2012 in der Süddeutschen Zeitung mit Bezug auf Martin Buber für die Schaffung eines binationalen Staates plädiert und kürzlich in Konkret eine Argumentation präsentiert, die auf die Aufgabe des israelischen Rückkehrgesetzes hinausläuft, dessen Abschaffung Butler explizit fordert. Allerdings buchstabiert Butler die antizionistischen Konsequenzen ihrer Israel-Kritik deutlich offener aus, und Brumlik lobt in seiner Rezension ihres neuen Buchs in der Zeit zwar einige ihrer moralphilosophischen Einlassungen, wirft ihr aber »Blindheit gegenüber der Wirklichkeit« vor. Sie genieße als Moralistin »die Reinheit ihrer Überzeugungen und damit sich selbst«. Ginge es mit rechten Dingen zu, bliebe für all jene Butler-Fans, die noch bei der Verleihung des Adorno-Preises meinten, der Autorin gehe es nur um die israelische Präsenz in der Westbank, nicht viel Spielraum. Die Professorin für Rhetorik und Komparatistik betont: »Festzuhalten ist, dass der Binationalismus (…) in meiner eigenen Argumentation nicht in eine Zweistaatenlösung mündet, sondern in einen einzigen Staat.« Selbst die vermeintlich aufgeklärten Antizionisten im deutschsprachigen Raum, die nach zwei Dekaden Kritik und Diskussion zumindest gelernt haben, dass man die Politik der Israelis nicht mit den Verbrechen der Nationalsozialisten auf eine Stufe stellen kann, wenn man noch irgendwie ernst genommen werden möchte, werden mit Butlers Buch keine rechte Freude haben – so sie es nicht als eine Art Befreiungsschlag verstehen, dass die prominente Jüdin nun genau das sagt, was man als Deutscher eben doch nicht aussprechen könne. In jedem Kapitel versichert Butler aufs Neue, sie wolle die Zionisten sicher nicht mit den Nazis in Verbindung bringen, um genau das zu tun, wenn sie beispielsweise im selben Satz, in dem sie die »deutschen Konzentrationslager« erwähnt, vom »›Erfolg‹ des konzentrierenden Kolonialismus im Westjordanland und vor allem in Gaza« spricht, wo die »Lebensumstände ganz nach dem Modell der Konzentration beengt und verarmt« seien. Butler abstrahiert nicht nur vom gegenwärtigen Antisemitismus, sondern von der gesamten Vorgeschichte der israelischen Staatsgründung. Die Vertreibungen von Palästinensern 1948 sind bei ihr kein Resultat eines bereits jahrzehntelang währenden Konflikts, der maßgeblich durch den arabischen Antisemitismus befeuert wurde, und keine Konsequenz aus dem von arabisch-palästinensischer Seite provozierten Krieg, sondern im Wesen des Zionismus begründet. Die Vertreibungen von Hunderttausenden Juden aus den arabischen Ländern finden bei ihr keine Erwähnung. Von der Geschichte des arabischen Antisemitismus und den gegenwärtigen Bedrohungen Israels durch das iranische Regime ist auf 280 Seiten ebenso wenig die Rede wie vom Judenhass der Hamas oder der Hizbollah, die Butler bekanntlich für »fortschrittlich« hält und als »Teil der globalen Linken« betrachtet. Über 100 Jahre Nahost-Konflikt stülpt sie ihre zur Schau getragene und faktenresistente universalistische Gesinnungsethik, in der jihadistische Mörderbanden problemlos als Verbündete im Kampf gegen Israel Platz finden. Nicht nur bei der Verteidigung der Burka, sondern auch in ihrer radikalen Absage an den Zionismus bezieht sie sich auf Lila Abu-Lughod und ihre Kritik an etwas, das sie »jüdischen Exzeptionalismus« nennt. Butlers zentrales Argument ist die Mobilisierung eines abstrakten und geschichtslosen Universalismus gegen den Partikularismus des Zionismus. Zur Unterfütterung ihrer universalistischen Pseudomoral, die, wie bei der eingangs zitierten Apologie der Zwangsverschleierung, jederzeit durch krudesten Kulturrelativismus ersetzt werden kann, verweist sie auf Walter Benjamins Mes­sianismus und Emmanuel Lévinas’ Ethik. Sie verkennt nicht nur das in den unterschiedlichen Ausprägungen des Judentums stets präsente Spannungsverhältnis von Partikularismus und Universalismus, sondern ignoriert die seit Jahrzehnten in den diversen zionistischen Strömungen existierende Diskussion über Separatismus und Kosmopolitismus, über univer­salen Anspruch und notwendigerweise partikulare Praxis. Butler und ihre Fans wollen nichts davon wissen, dass der Partikularismus des Zionismus ein aufgezwungener, kein frei gewählter ist. Wer sich an ihm stört, sollte etwas gegen seine Ursache unternehmen: den Anti­semitismus. Den jedoch befeuert Butler allein schon dadurch, dass sie selbst eine Art von »jüdischem Exzeptionalismus« betreibt und sich für ihre Kritik ausgerechnet den jüdischen Staat herausgreift. Was an Israel kritisiert wird – seine Staatsgewalt, sein Nationalismus, die Absicherung eines Territoriums –, wünscht Butler sich ihrem postnationalen Konzept zum Trotz für die palästinensischen Brüder und Schwestern. Über den Inhalt deren politischer Projekte und deren Nationalismus verliert sie kein Wort und stellt sie außerhalb jeder Kritik. In ihrer Parteinahme für die Sache »Palästinas« entpuppt sich die politische Theorie der postsouveränen Denkerin des Antinationalismus endgültig als Kumpanei mit der Barba­risierung. In her latest pamphlet, Judith Butler urges the end of the Jewish state. Why should an author favoring US gender scientist Lila Abu-Lughod’s praise of burka be recognized as a mastermind of feminism? According to Judith Butler, Abu-Lughod cherishes the full veiling of female bodies for transporting “important cultural meanings”. In “Precarious Life”, (published in German in 2005 as “Gefährdetes Leben”), Butler makes use of Abu-Lughod’s verdict against the “decimation of Islamic culture” and the “extension of US cultural assumptions about how sexuality and agency ought to be organized and represented” to cry against pictures of non-veiled Afghan girls and women. Veiling should be understood as “an exercise of modesty and pride“ and serves as “a veil behind which, and through which, feminine agency can and does work.“ Butler blames any critical view on Islamist terror of virtues to be a “culturally imperialist exploitation of feminism”. Those of Butler’s followers, who still take feminism for serious, had much bother to turn a blind eye on such statements that clearly cancel the universal idea of freedom. And suchlike took place, when the city of Frankfurt/Main conferred the Theodor W. Adorno award to an author whose essays express the exact opposite to Critical Theory. In spite of her critical attitude, the negation of any argument aiming to transcend contemporary society runs like a golden thread through her writings. During the course of debates raised by her anti-Israeli statements, the jury and many of her admirers tried to defend the gender queen by claiming that she only attacked continuous settlement building and specific governance of Israel leaders. Was that merely defensible then, considering the insights of the popular philosopher starlet, will this defense strategy now, after the publication of “Am Scheideweg”, never stand the gaff. The book, published in English as “Parting Ways. Jewishness and the Critique of Zionism” 2012 and translated into German 2013, starts with the grand delusion of all anti-Zionists that keep dressing up as victims of merciless persecution, who cannot live without their idée fixe, that any critic of the Israel state policy will be stigmatized as anti-Semitic by the allegedly omnipotent International of Israel defenders. For Butler, the trivial fact that there have always been Jewish opponents of Zionism is a breakthrough discovery and a taboo that requires courage to be addressed. Jewish critic of Zionism by Hermann Cohen, Franz Rosenzweig or Hannah Arendt serves as a counterinsurance for Butler to give full scope to her hatred of an “ausbeuterischen Siedlerkolonialismus” (“exploitations of a project of settler colonialism”) that she perceives—far from the reality of Middle East—in Israel, and nobilitate it as a scheme of philosophy. Quoting the Shoah survivor Primo Levi’s disappreciation of the Libanon war of 1982, she tries to stamp herself the kosher seal on her strict refusal of the Zionist project. Geared up with this, she wholeheartedly applies herself to her political objectives that aim, like those of her stooge Edward Said, at nothing less than the abolishment of Israel. Unsurprisingly, her Jewish accomplice witnesses are not radical enough for Butler: The bi-national proposals of Hannah Arendt, Martin Buber and Judah Magnes “did not go far enough”. She demands a final call-of for the “political Zionism” and contends for a clear cancellation of any form of “Jewish sovereignty”. Butler pleads for the abolition of the Law of Return that guarantees all Jews the immigration to Israel, and the realization of the Right of Return for Palestinians, which would spell doom for Israel as a Jewish state. Considering Butler’s thesis, “the loss of demographic advantage for the Jewish population in Israel would surely improve prospects for democracy in that region” it would be a miniscule aggrandizement to speak of “Erlösungsantizionismus” (redemptive anti-Zionism). In her book, Butler tries to push forward her passionate defamation of Israel’s legitimacy by supporting the “Boycott/Divestment/Sanctions-Movement”, that she had proclaimed for many years now, belittled or qualified by her German friends—a movement, that meanwhile even Noam Chomsky and Norman Finkelstein backed away from. Butler clarifies that it deals not only with the boycott of products from West Bank settlements, but a wholesale boycott of the State of Shoah survivors and their offspring, everything else means resignation to the Palestinian “claims of 1948” and the “right to return”. Butlers objectives are unmistakable: Like Ali Khamenei’s, Sunnite Islamist’s and the PFLP’s, albeit with a different vision of future cohabitation in that region, Butler’s concern is the “liberation” of entire “Palestine”. Therefore, she takes issue even against leftist versions of Zionism. Butler’s objections against Zionism provide Israel’s haters of any variety with ammunition, mostly the pseudo-critical liberals. They will relish the bombastic apparatus of notions and the pompous language of the post-structural mastermind. Her book is another milestone on the way to delegitimate Israel, an update to Tony Judt’s attacks on Zionism as an “anachronism”, that heralded the renaissance of intellectually dressed-up hatred towards Israel in German-speaking and other countries. In 2012, German professor Michael Brumlik advocated the founding of a bi-national state in “Süddeutsche Zeitung” with reference to Martin Buber. Lately, he published a reasoning in “Konkret” that implies the abdication from Israel’s Return Law, which Butler would like to see abolished. Not only Butler ignores the current anti-Semitism, but the whole background of the founding of the state of Israel. For her, displacements of Palestinians of 1948 are not the result of a decade-long conflict essentially fuelled by Arabian anti-Semitism, and not the outcome of a war triggered by the Arab-Palestinian party, but inherent to the substance of Zionism. Butler does not say a thing about the displacements of hundreds of thousands of Jews from Arabian countries. The history of Arabian anti-Semitism and Israel’s constant threat by the Iranian regime are never mentioned on the 280 pages of her book, not to speak about the anti-Jewish furor of Hamas or Hezbollah, which Butler takes, as commonly known, for “progressive” and “part of a global left”. Undisturbed by facts, she drowns hundred years of Middle East conflict with her flaunted ethics of conviction, whereas gangs of Jihadist killers find an unquestioned place as allies in her combat against Israel. Not only in her defense of the burka, but in the radical verdict of Zionism as well, Butler refers to Lila Abu-Lughod and her struggle against something she calls “Jewish exceptionalism”. Butler’s main argument is the mobilization of an abstract and ahistorical universalism against the Zionist particularism. Her universalistic pseudo-morality may be replaced by crude cultural relativism without further adoe, for example in the quoted apology of veiling dictates. It is upholstered by references to Walter Benjamin’s messianism and the ethics of Emmanuel Lévinas. Thus, she fails to recognize not only the relationship of tension between particularism and universalism that always was present among various manifestations of Judaism. She also ignores the debate that went on for decades in various Zionist movements about separatism and cosmopolitism, universalistic aspiration and the requirements of particular practice. Butler and her entourage want none of that, but Zionist particularism is imposed and not voluntarily chosen. Whoever dislikes it, should get down to the root of the trouble: the anti-Semitism, that Butler fuels herself with her own variety of “Jewish exceptionalism”, when she singles out, of all, the Jewish state for her critique. Whatever she disapproves for Israel, sovereignty, nationalism, safeguarding of territories, Butler, in spite of her post-nationalistic conception, grants freely to the Palestinian brothers and sisters. The substance of their political intentions and their nationalism are unmentioned, as if these were like uncharted waters and without reproach. With her alignment for the cause of “Palestine”, the post-sovereign thinker of anti-nationalism reveals her own political theory as chumminess with barbarianism. Judith Butler: Parting Ways. Jewishness and the Critique of Zionism. Columbia University Press, New York 2012, 250 pages (German edition: Am Scheideweg. Judentum und die Kritik am Zionismus. Aus dem Englischen von Reiner Ansén. Campus-Verlag, Frankfurt/Main 2013, 280 pages). the Co-founder and Scientific Director of the NGO STOP THE BOMB—Coalition for a nuclear-free and democratic Iran and writes for the German monthly Konkret and the weekly Jungle World. His op-eds were published in Die ZEIT, Der Tagesspiegel, Neue Zürcher Zeitung, Basler Zeitung, Der Standard and Die Presse. He is the author of Fetish & Freedom. The perception of Marx’ critique of fetishism and its relevance for a critical theory of anti-Semitism (in German, 2007) and edited several anthologies on anti-Semitism in Austria and Germany as well as on the Iranian regime (e.g. Iran in the World-System. Alliances of the Regime & Perspectives of the Freedom Movement [in German, 2010]). Currently he published an article about “Anti-Semitism and the failure of the Left on Iran” in Platypus review. This article was published in German left-wing weekly Jungle World, January 16th, 2014. Translation by Nikolaus Gatter. Wow, Jakob Augstein has done it again in the anti-Semites charts! Augstein was included in the Center’s Top 10 list after equating Islamic extremists to Hasidic Jews in Israel.